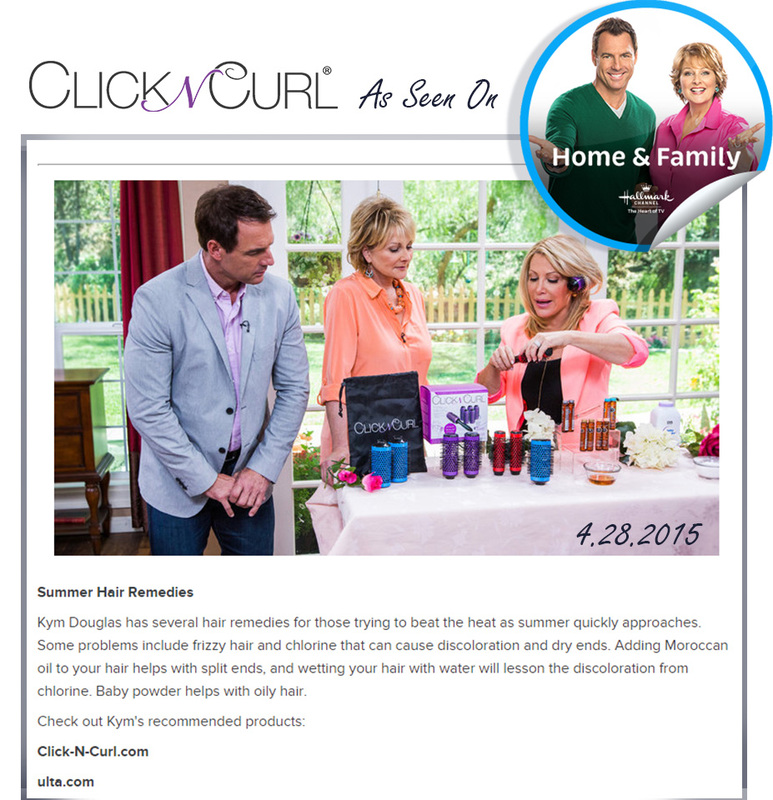 Kym shows the audience how easy Click n Curl is to use. “I don’t know why we didn’t invent this already!” she says. Air date 4/28/2015 on Hallmark Home & Family.